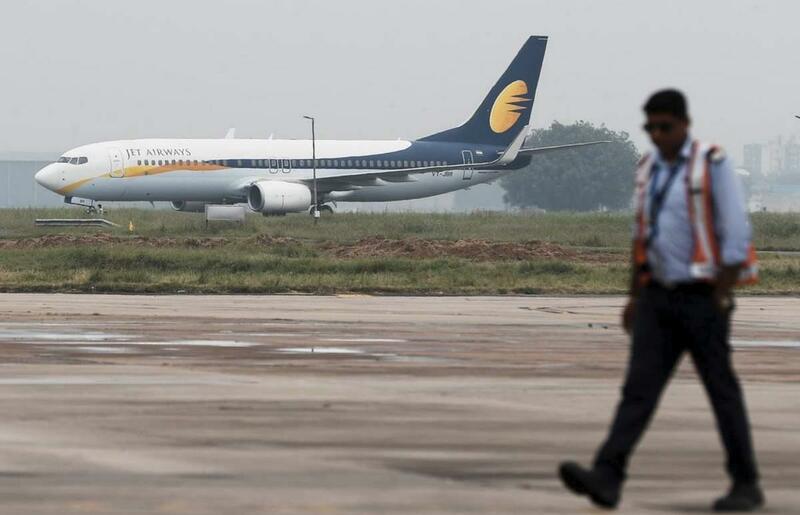 NEW DELHI, March 20 (Xinhua) -- Pilots of India's private airline "Jet Airways" have threatened to go on strike from April 1, if the cash-strapped airline does not share with them a proper roadmap by March 31 regarding paying their salaries. The private airline is learnt to be having a debt of more than 1 billion U.S. dollars and has been struggling for several months to make payments to its creditors. Its financial constraints have led to the cancellation of hundreds of flights, even as it fights intense competition from other low-cost airlines in the country, Indian rupee's depreciation and rising fuel costs. Over 40 planes of the airline have been grounded so far. "We have decided that either the management lets us know about the progress of the resolution plan and the future of the company by March 31, or we will refrain from flying duties," media reports quoted National Aviators Guild Vice-President Captain Asim Valiani as saying. The development came after the Indian government called an emergency meeting with the carrier on Tuesday over the grounding of flights. Meanwhile, according to the office of the country's Director General of Civil Aviation, the current fleet of Jet Airways is likely to operate only about 140 flights a day, down from an average of about 650 flights a day in March 2018.